Jumping mat for 12ft. 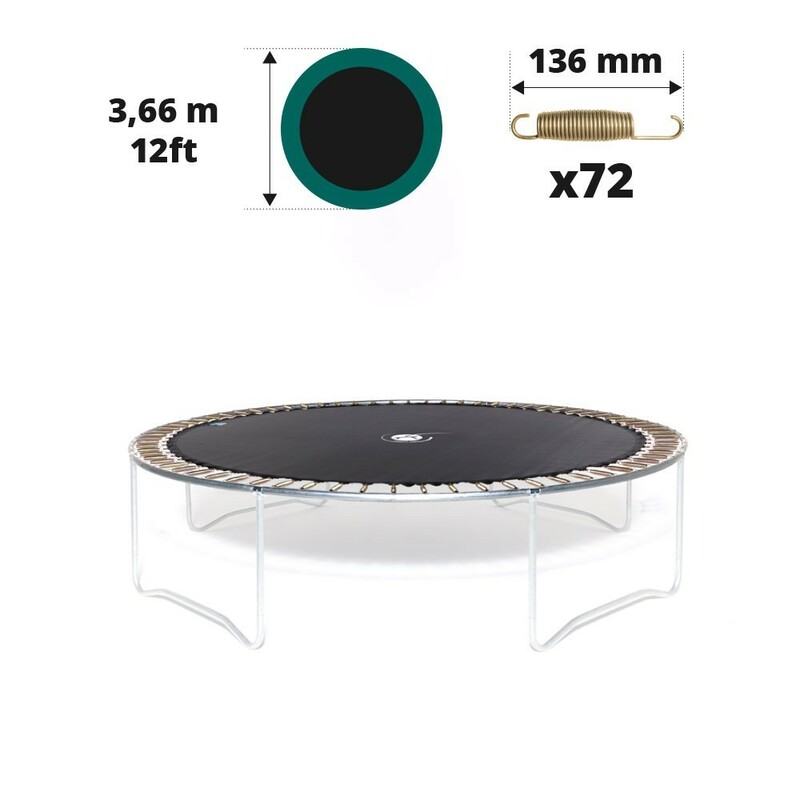 trampoline 366 with 72 136mm springs. > Spare parts>Trampoline spare parts>Jumping mats>Jumping mat for 12ft. trampoline Ø 366 with 72 136mm springs. Jumping mat for 12ft. trampoline Ø 366 with 72 136mm springs. 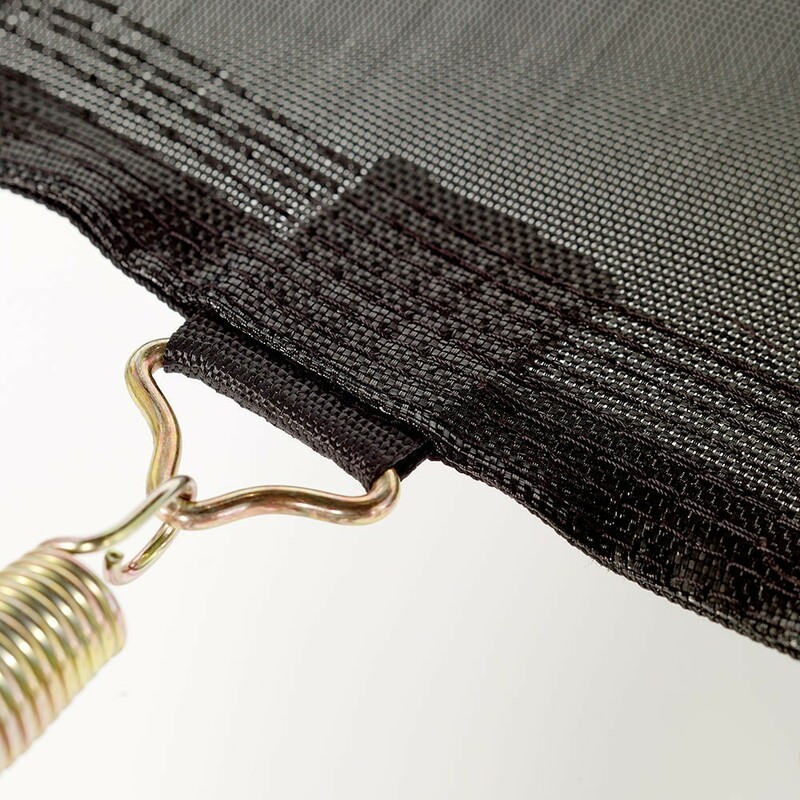 You've had your trampoline for over a few years and after an intense use is your jumping mat starting to wear down? It is essential for the security of your users to renew the canvas. 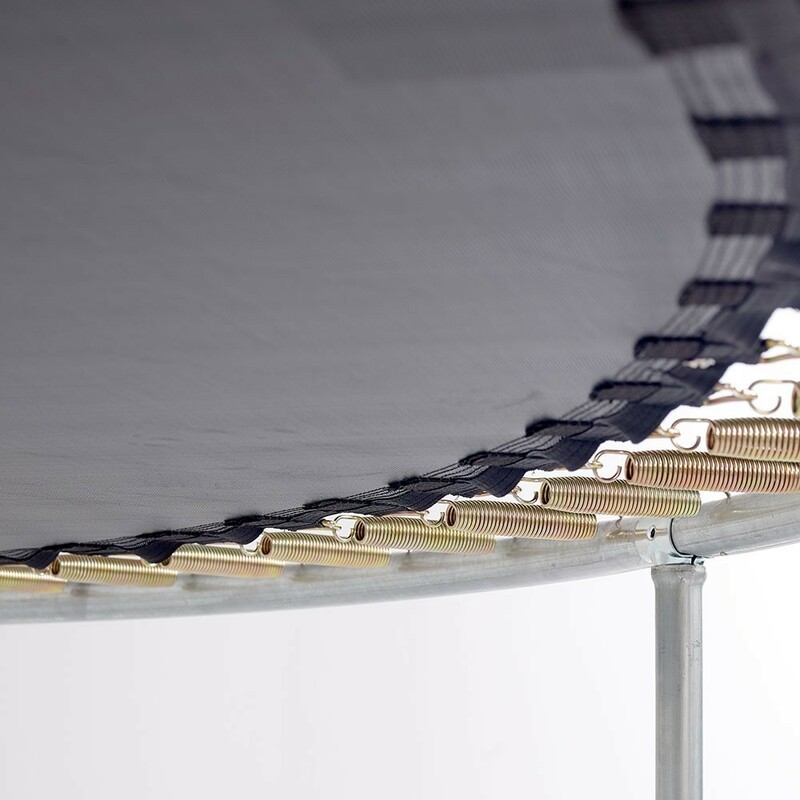 With this spare part you can replace your jumping mat with completely changing trampolines. - Designed in black mesh, a fabric known for its strength, the jumping mat is also strengthened with 8 rows of stitching and a reinforced band. These elements allow for optimal resistance to shocks and tears. - The fixing brackets are in hot-dip galvanised steel to prevent corrosion. 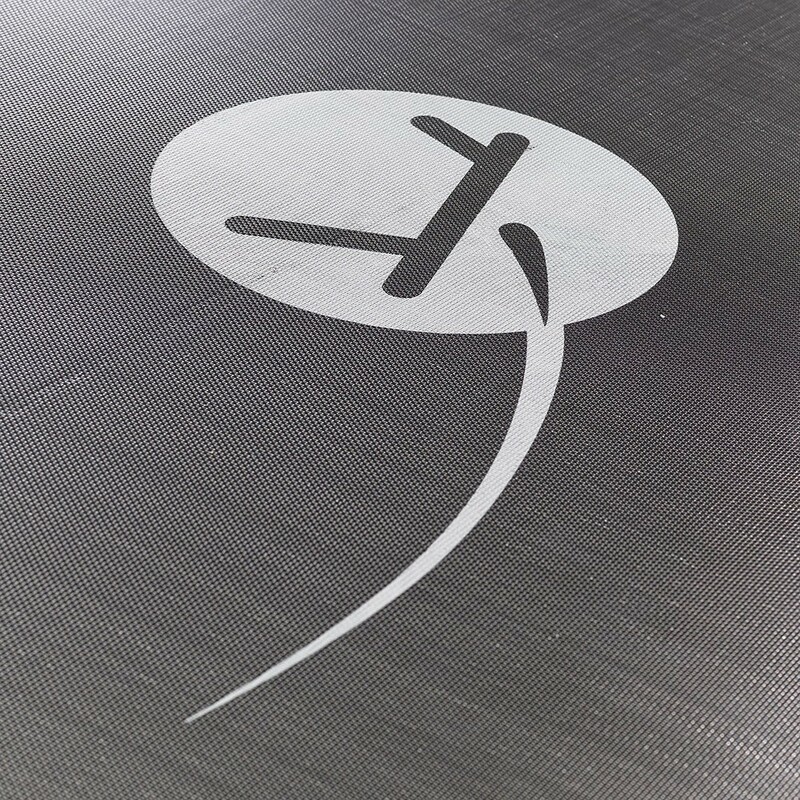 - An anti-UV treatment will ensure your jumping mat's durability. So, you don't need to worry about prolonged sun exposition. 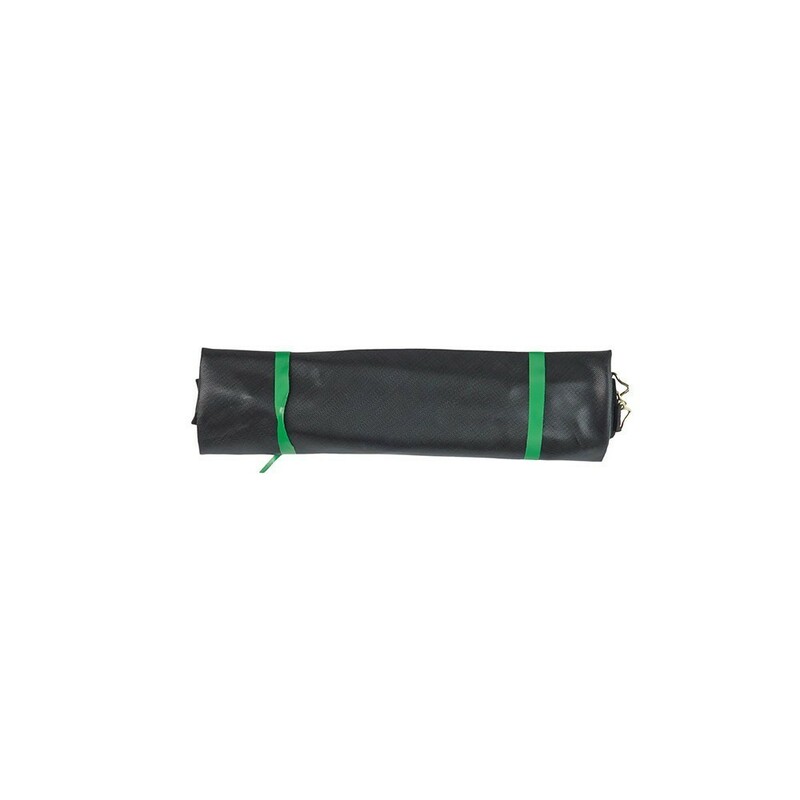 - Compatibility: this jumping mat is compatible with all round trampolines with a 12ft. 366cm diameter and 72 136mm-long springs. - Precisely measure these 2 elements: the diameter of your trampoline from steel to steel and the length of an unhooked spring, hook to hook. Ne convient pas pour les vieux trampolines SixBros d'avant 2015.